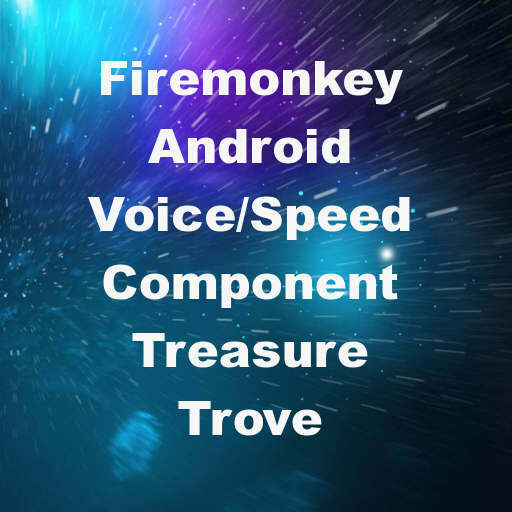 Jim McKeeth from Embarcadero has upgraded his Android Text to Speech and Speech Recognition components for Delphi XE7 Firemonkey. There are two components that wrap the Android TTS API and the Android Speech Recognition API using the Delphi JNI. The components utilize the following JNI file interfaces Androidapi.JNI.Speech, Androidapi.JNI.TTS, and android.speech.SpeechRecognizer. There lastly three demos included which are a Google Voice Trigger app, a Speech Recognizer app, and a Voice Commands app. The Voice Trigger app is specifically for Google Glass. All source code is provided in both Object Pascal and C++ for use in Appmethod as well as Delphi. We’ve covered these components before for XE6. The TAndroidTTS component has a Speak() procedure which will speak the string that you pass it using the Android TJTextToSpeech object. The TSpeechRecognition component has a procedure called Listen which uses the TJRecognizerIntent Android object to listen and create guesses for what it hears. An IntentCallback event listens for the guesses and passes them to events in the TSpeechRecognition component where you can access them. Head over and check out the full blog post with some additional information for setting up your Delphi XE7 Firemonkey projects to use speech. Or head directly to Github and download the full source code for the Android TTS and Speech Recognition components and demos.